Should smoking be allowed on cruise ships? That issue is so incendiary (pun intended) that smokers often slink away in shame, and nonsmokers can act so self-righteous that they're just plain rude. Can you smoke on a cruise ship? Yes. The reality is that all cruise ships allow smoking in certain areas. Nonsmoking lines (like the former Renaissance Cruises) and ships no longer exist. And cruise lines are not about to designate certain rooms smoking and nonsmoking. 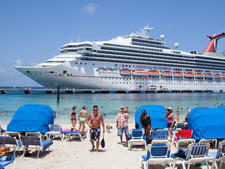 "It would present an inventory mess," says a spokesperson for CLIA, the cruise industry's official trade association. "The cruise lines' yield management people want the ships to sail full at all times; you can't do that if you set aside nonsmoking [and smoking] rooms." 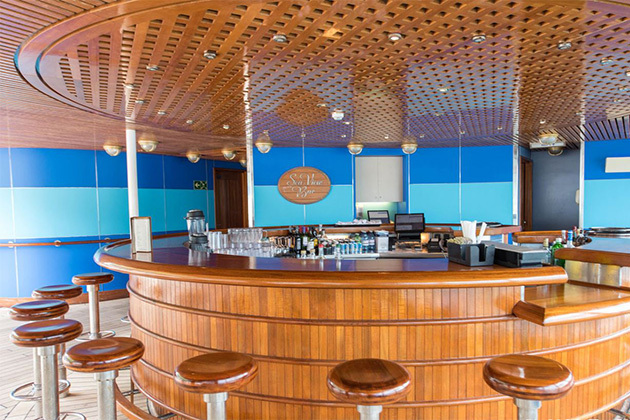 Where can you smoke on a cruise ship? Generally, you can light up in designated outdoor smoking zones, and sometimes in casinos, nightclubs, cigar bars and cabin balconies (depending on the cruise line). Nonsmoking areas typically include cabins, restaurants and theaters. Electronic cigarettes are usually treated as traditional cigarettes and may only be used in designated smoking areas. Some lines, however, allow passengers to use e-cigarettes in the privacy of their (otherwise nonsmoking) cabins. 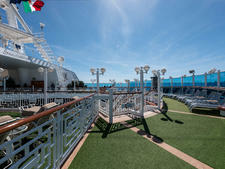 The cruise lines with the most restrictive smoking policies are Oceania Cruises -- smoking is permitted in two small areas only -- and Italian cruise line MSC Cruises on its North American ship, Divina -- where smoking is permitted only in the Cigar Lounge and on the port side of designated outside decks. Even smoking in the casino is not allowed. The least restrictive policies allow passengers to smoke on their cabin balconies. Costa Cruises, Fred. Olsen Cruise Lines and Saga allow balcony smoking. Smoking on cruises is generally more prevalent on any ship that sails with a large European or Asian contingent, compared with a ship filled with North Americans. You can be fined for smoking on cruise ships in prohibited areas, but the greater risk is confrontation with fellow passengers, even when following the rules. Smoke tends to drift back while the ship is underway, causing tension between balcony smokers with forward cabins and nonsmokers in cabins aft of them. Even in open deck spaces, which should be clearly labeled smoking and nonsmoking, many a fight has started over cigarette smoke because one side or another is in the "wrong" space. Shipboard personnel will not ask someone to stop smoking in a designated smoking zone, even if their smoke is drifting into your personal space, but they can ask someone to move if they have lit up in a smoke-free zone. Where You Can Smoke: Smoking is permitted on the starboard forward section of the pool deck. Where You Can't: The rest of the ship is completely nonsmoking, including all cabins and balconies; this policy includes electronic cigarettes. Where You Can Smoke: Cigarette smoking in public venues is only permitted in Carnival's dance clubs as well as in designated areas within the casino and casino bar (excluding clubs on Carnival Sunshine and Carnival Vista). Smoking (including cigars) is permitted in designated exterior open deck areas of all ships. On some Australia itineraries on Carnival Legend, all indoor public and private spaces are nonsmoking. Cigar and pipe smoking is only permitted in designated outdoor areas on open decks. Where You Can't: Everywhere but above enumerated spaces are nonsmoking, including the dining room and most public rooms. Smoking is prohibited in all cabins and on all balconies. Where You Can Smoke: Cigarette smoking is only permitted in designated outdoor areas. 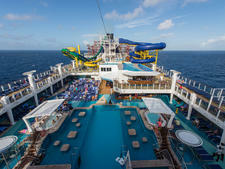 Examples include the port side of the pool deck and sun decks. 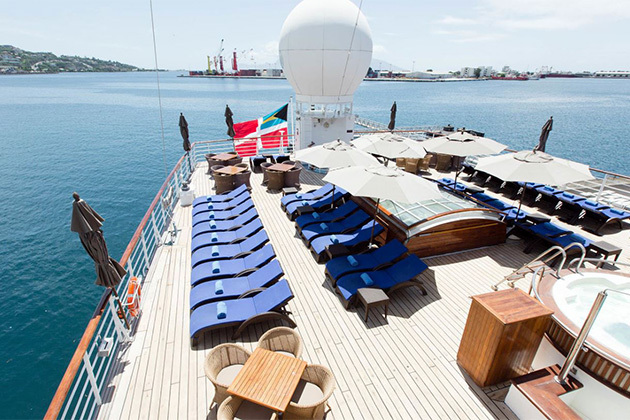 Cigar and pipe smoking is allowed only in specially designated sections of the open decks. Where You Can't: Smoking is prohibited in cabins and on balconies. Also, smoking is not permitted in any dining venue, casino, theater, hallway, elevator or corridor. Where You Can Smoke: Smoking is permitted on the open decks where there are no signs prohibiting smoking. Cigar smoking is permitted only on designated spaces on open decks. 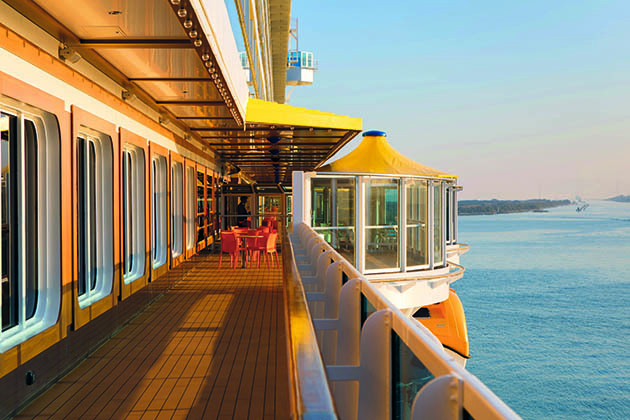 Where You Can't: All cabins and balconies are nonsmoking, as well as the dining room. Where You Can Smoke: Smoking is permitted in designated spaces on the open decks, on private balconies and in the Cigar Bar. Passengers may smoke e-cigarettes only in cabins and in the Cigar Bar. Where You Can't: All public rooms are nonsmoking. Smoking in cabins is also prohibited. Where You Can Smoke: Smoking is permitted on two designated areas on the open decks. Where You Can Smoke: The only places indoor smoking is permitted are the Connoisseur Club smoking lounge and the VIP area of the casino. 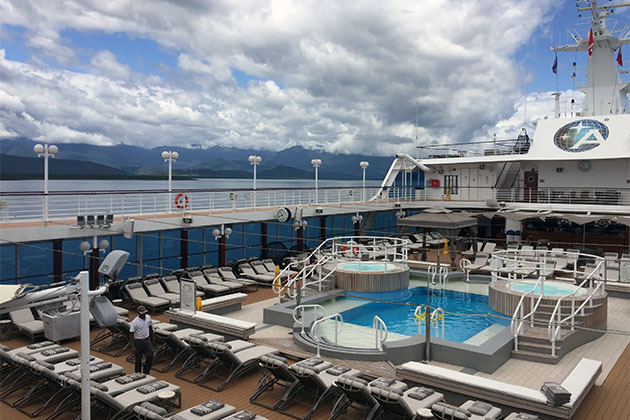 A number of outdoor areas are designated for smoking, including the Seahorse pool area and Promenade Deck (port sides only), and decks 8 through 10 aft. On Crystal Serenity, Deck 11 aft is also a smoking zone. Cigar and pipe smoking is permitted in the Connoisseur Club and on the aforementioned aft decks. Where You Can't: Smoking is prohibited in cabins, suites and on verandas, as well as all indoor areas, with the exception of the Connoisseur Club and VIP Casino. Crystal Esprit is an entirely nonsmoking yacht. Where You Can Smoke: Smoking, including smoking of e-cigarettes, is only permitted in designated areas of the starboard side of open decks, and in certain bars and lounges. Passengers may also smoke e-cigarettes in cabins and on balconies. Where You Can't: Smoking is not permitted in cabins, on balconies or in any indoor public area with the exception of Queen Victoria's Churchill's Cigar Lounge (cigars and pipes only) and the upper level of the G32 nightclub on Queen Mary 2. Smoking is also prohibited in the Casino Bar as well as the entire casino area. The obvious -- elevators, theaters, the library, restaurants -- are likewise nonsmoking spaces. Where You Can Smoke: Smoking is permitted outdoors on Disney Magic and Wonder on the starboard side of decks 4 (from 6 p.m. to 6 a.m.), 9 and 10 (excluding the Mickey Pool area). 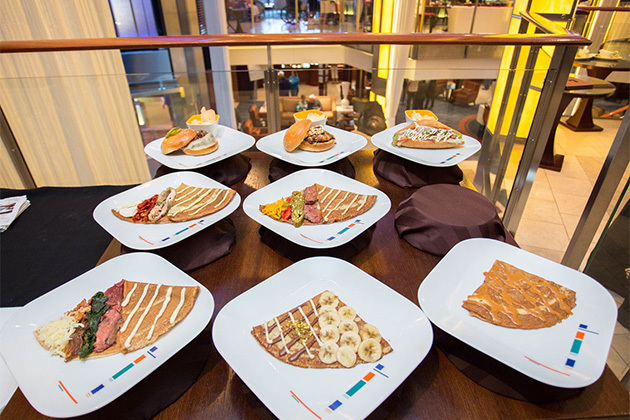 On Disney Dream and Disney Fantasy, it's permitted on the port side of the Deck 4 Promenade (from 6 p.m. to 6 a.m.); on Deck 12 aft, port side, by the Meridian Lounge; and on Deck 13 forward, port side, by the Currents Bar. Where You Can't: Smoking is prohibited in all indoor areas, including cabins. Smoking is also is prohibited on all balconies. Where You Can Smoke: Passengers are only able to smoke on cabin balconies (except for Deck 7 terrace balconies on Black Watch and Boudicca) and in specially designated areas on open-air decks. Where You Can't: Smoking is banned in all indoor areas on all Fred. Olsen ships. Where You Can Smoke: As of January 2017, smoking will be permitted only on the starboard side of the Sea View Pool and Bar (port side on Koningsdam and Prinsendam); the Sports Deck forward and starboard side of the Crow's Nest aft on Maasdam, Veendam, Volendam, Zaandam, Rotterdam and Amsterdam; the Oak Room on Noordam; and the Sun Bar on Koningsdam. 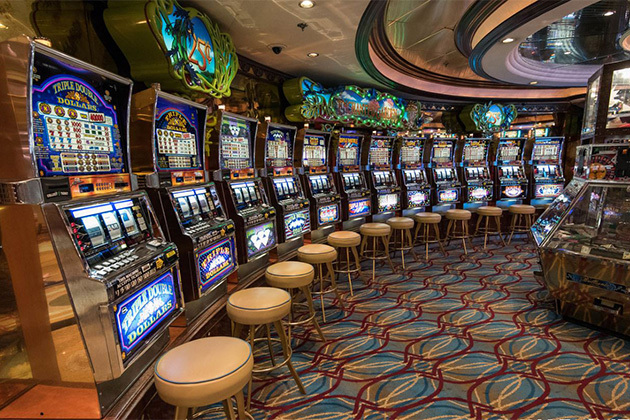 There also will be smoking-designated areas for active slot players in all casinos except Oosterdam and Eurodam, which have entirely smoke-free casinos. Where You Can't: All cabins (including balconies), restaurants and most indoor areas (including showrooms) are nonsmoking. Note: E-cigarettes and vaping devices are allowed in designated smoking areas, as well as inside passenger staterooms (but not on balconies). Where You Can Smoke: Smoking is only allowed indoors in the cigar rooms, the casinos and one dedicated lounge, and outdoors on one side of the sun deck. Smoking restrictions are even tighter on Divina, where passengers may only smoke in the Cigar Lounge and on the port side of designated outside decks. Where You Can't: Smoking is prohibited in dining rooms, theaters and cabins (including cabin balconies). Where You Can Smoke: Smoking is permitted in designated areas on open decks, in casinos and in cigar bars. On ships that have the Waterfront, smoking is allowed on the starboard side excluding food-service areas. Cigar and pipe smoking is allowed in cigar bars and designated smoking lounges. Where You Can't: All indoor public areas except casinos and cigar bars are nonsmoking. Smoking is also prohibited in cabins and on cabin balconies. Where You Can Smoke: Smoking (including e-cigarettes) is permitted only in the aft port side of Horizons, and the starboard forward section of the outdoor Pool Deck. Cigar and pipe smoking is allowed in the above-mentioned forward, starboard part of the Pool Deck. Where You Can't: All other areas are smoke-free. This includes all cabins and balconies, restaurants, public rooms and open decks except for the two designated smoking areas. Where You Can Smoke: Passengers who wish to light up can smoke on certain open decks. Where You Can't: Smoking is prohibited in all enclosed public areas and in the cabins, including cabin balconies. Where You Can Smoke: Smoking is permitted in cigar lounges, in sections of nightclubs and casinos, and on portions of open decks that are clearly marked "Designated Smoking Areas." 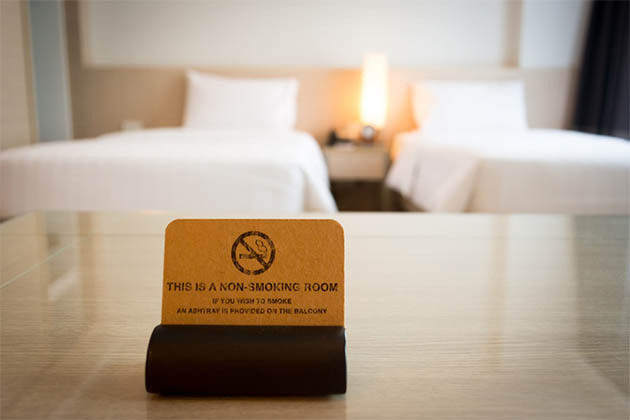 Electronic cigarette smoking is permitted in staterooms (but not on balconies) and in other designated smoking areas. Cigar and pipe smoking is permitted only in cigar lounges. Where You Can't: Smoking is prohibited in show lounges, elevators, dining rooms and all food service areas. Princess also prohibits smoking in cabins and balconies across its fleet. Passengers may not smoke in casinos, except for at designated slot machines while playing those machines. Casinos have designated nonsmoking nights, beginning at 6 p.m. on select nights, depending on the sailing. Where You Can Smoke: Cigarette smoking is only allowed in designated areas of the outdoor pool area fleetwide, the Connoisseur Club (not found on Navigator) and the following public areas: Horizon Lounge (designated area outside) on Seven Seas Voyager and Seven Seas Mariner, and Galileo's on Seven Seas Navigator. Cigar and pipe smoking is permitted in the Connoisseur Club; cigar smoking is also allowed in the designated area of the pool area (opposite the pool bar), but pipe smoking is not. Where You Can't: Regent does not allow smoking in cabins, in suites or on private balconies. Smoking is also not permitted in any enclosed dining areas. 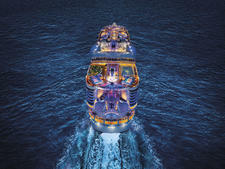 Where You Can Smoke: On all Royal Caribbean ships, smoking is permitted in designated areas of the open decks. (For most ships, this will be on the starboard side; on Oasis-class ships, it's on the port side.) Casino Royale allows smoking, but has designated nonsmoking areas as well. Mariner of the Seas and Voyager of the Seas offer one indoor smoking venue apiece. Where You Can't: Smoking is prohibited in all cabins and on all balconies. All inside public spaces (with the exception of the two ships mentioned above) are nonsmoking, as are the Central Park and Boardwalk neighborhoods on Oasis-class ships. Electronic cigarettes are only permitted within designated smoking areas. Cigar and pipe smoking is permitted in designated outdoor areas and cigar bars, called the Connoisseur Club. Connoisseur Clubs can be found on Freedom-class and Voyager-class ships. Cigarette smoking is not allowed in the Connoisseur Club. Where You Can Smoke: Smoking is permitted on open decks in designated areas and on cabin balconies. Where You Can't: Smoking is not permitted anywhere inside Saga's ships. Where You Can Smoke: On Seabourn ships, smoking is permitted on one side of the Sky Bar and one side of the open terrace aft of The Club on Deck 5. It's also allowed on the starboard side of the open terrace aft of Seabourn Square on Deck 7. Electronic cigarettes may be used in all suites. Where You Can't: Smoking is prohibited in all passenger cabins and balconies. Most public areas, including all indoor ones, are smoke-free. Cigar and Pipe Smoking: Passengers are prohibited from smoking pipes and cigars anywhere inside the ship, including in suites and on balconies. Cigar and pipe smoking is permitted only on the starboard side of the open terrace on Deck 7, aft of Seabourn Square. Where You Can Smoke: Smoking is permitted outdoors on decks 3, 4 and 6 except during meal times. Where You Can't: Smoking is prohibited in all indoor spaces, including cabins, and outdoors on decks 2 and 5. Where You Can Smoke: Smoking is permitted at designated tables outside the Panorama Lounge and Pool Bar, in the Connoisseur's Corner and at designated outside areas on the open deck. Where You Can't: Cabins, balconies and nearly all indoor spaces (with the exception of Connoisseur's Corner). Where You Can Smoke: Smoking is only permitted in strictly designated areas of the open deck. Electronic cigarettes may be used in the casino and in adjoining bar areas, and in the open-deck areas that are designated for smoking. Where You Can't: Smoking is not permitted anywhere inside the ship. Where You Can Smoke: Smoking of any kind is allowed on the open decks but only in designated areas. Where You Can't: Smoking is prohibited in the restaurants, all staterooms and all public spaces on all Windstar ships.